Illustrating my favorite quotes from whichever book is on top of a never ending pile. 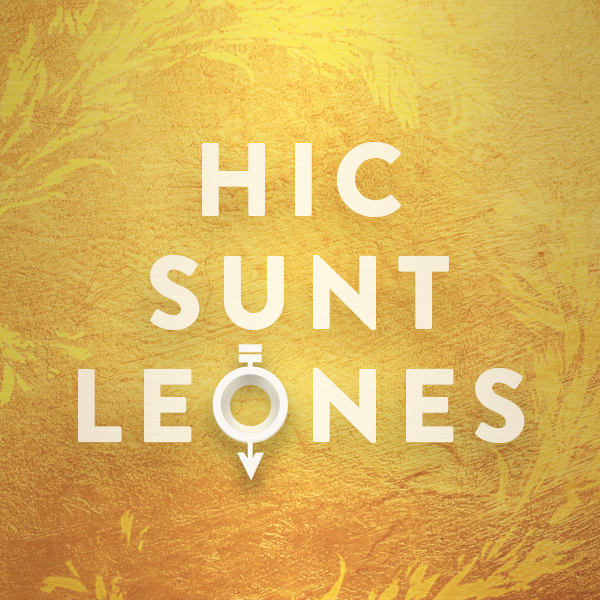 "Here be lions" Golden Son by Pierce Brown. Living under a false name and home, the main protagonist realizes that his enemies are all around him. The gold represents the society he claims to be from while the words are surrounded with a ring of fire, mirroring the original book cover. The symbol for the protagonist's true origin is seen in place of the letter 'O' demonstrating the eventual power shift in this trilogy.